Circumstances outside of your control could damage your shipment while in transit. 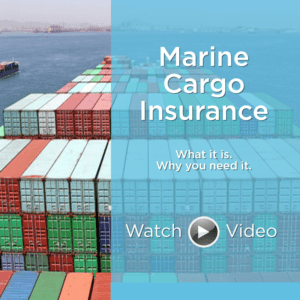 WB Skinner therefore recommends you purchase All Risk Cargo insurance to cover your shipment while in transit. Your shipment should be insured for its full CIF value, Cost of Goods + Insurance + Freight, plus 10%; this will insure that your company’s total financial exposure is covered against any physical loss or damage during transit. Domestic transportation carriers limit can be as low as .50 Cents per lb. The delivery receipt was signed clean. The loss was a result of an Act of God or a strike or riot. A Claims processing computer system with full automation of cargo claim adjusting, which will provide on-line service to access claim status and claim analysis reports. A Professional Claims Processing Office, International Bond and Marine Brokerage, Ltd, will represent you in the settlement of a claim. Claims Control and Risk Management Services are delivered through our insurance partner, International Bond & Marine Brokerage, Ltd. Please contact us for additional questions, or to request a formal quote.